Geekandise Exploration - This addition is under development. It will help OSGR visitors to find unsual gifts and collectables. Please come back and visit us. Each section will be added once complete so expect regular updates as OSGR explores the interweby to find you some class Geekendise. As life plods on a normal Old Geek sits on an evening watching the latest Arrow or watching the new trailer for Logan on you-ty tube, their mind starts to wander ... "If I was a superhero who would I be??" There are also times in an Old Geek's life when they think, "well the bills are paid and I have some spare cash, I wonder what I will get?". Well for all those of us who would love to combine these two thoughts. There is a product on the horizon just in time for the season of giving. "What is it?" the reader asks - well if you missed the big bold heading above it's only Cap A's shield. 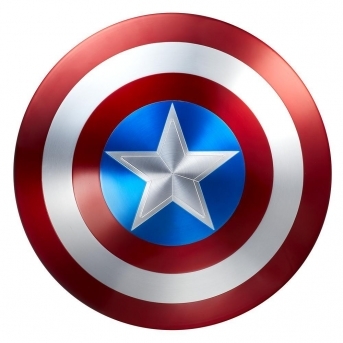 Yes a full replica of Captain America's shield made for the 75th Anniversary of his appearance as a comic hero. At last we can imagine using it as a barrier against flying bullets, flying at the Red Skull in an attempt to separate his head from his body..... Oooh 10 years old again ..... hang on .... the earth feels hard when the old geek is swiftly descended onto it. There is a price to this little piece of Geekendise - an average price tag of .... the drum is rolling .... 400 to 500 non American Pounds or 650 to 800 totally American Dollars. Now that's a lot of money for something you would fling at a sibling or best friend (especially after using all of your mothers lipstick to give them a red skull). The heart sinks as the dreams of a 10yr old start to crack like a cheap Ironman coffee cup. Hey hang on - Old Sci-Fi Geeks Rule .... This isn't a toy, this is a piece of Geekdom history. 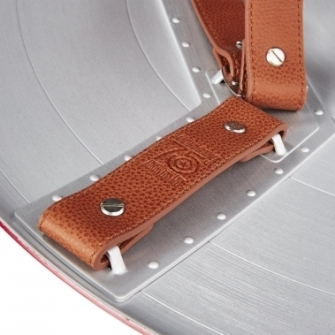 Made with Aluminium Alloy (not vibranium steel alloy - damn! ), it stands at 12.7 x 63.5 x 66 cm, with a machine finished look. 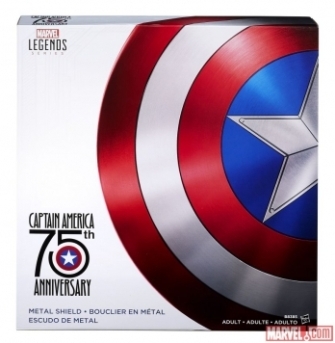 The pictures of this shield look fantastic and it's a great addition to any geek collection. Made by Hasbro the shield is scaled at 1:1 (wish they made an x-wing 1:1). Interested? OSGR is - so looking around the interweb it's available at Amazon or Forbidden Planet (Links below). So if a fancy piece of Marvel Anniversary Geekendise is in the laser sights, pop over to one of these fine stores and order one. The OSGR Jawa's inform that this won't be out until the 24th November 2016 - so if you want to gift wrap it in time for late December, pre-order is the way to go. Geek out. 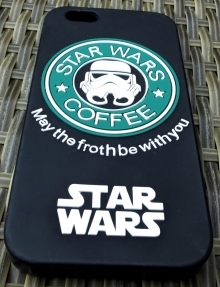 This first review is a high quality little phone cover purchased from eBay. 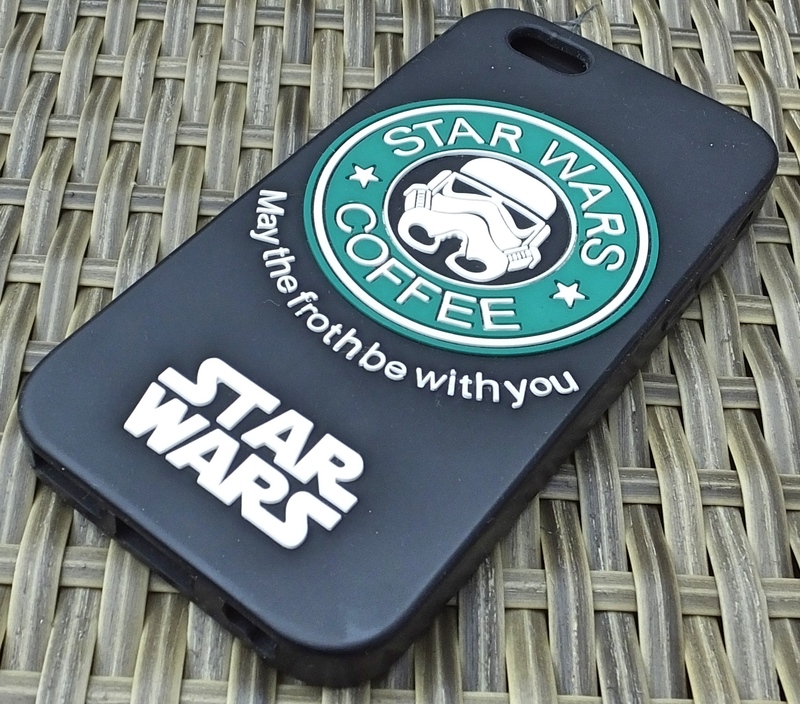 There are more phone covers out there than there are planets in the Star Trek Universe. 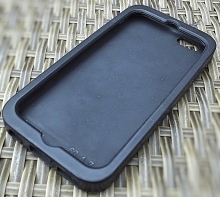 The Website author owns one of these and was so impressed by this little tactile phone cover for their iPhone 6 they have dedicated the first review to it. 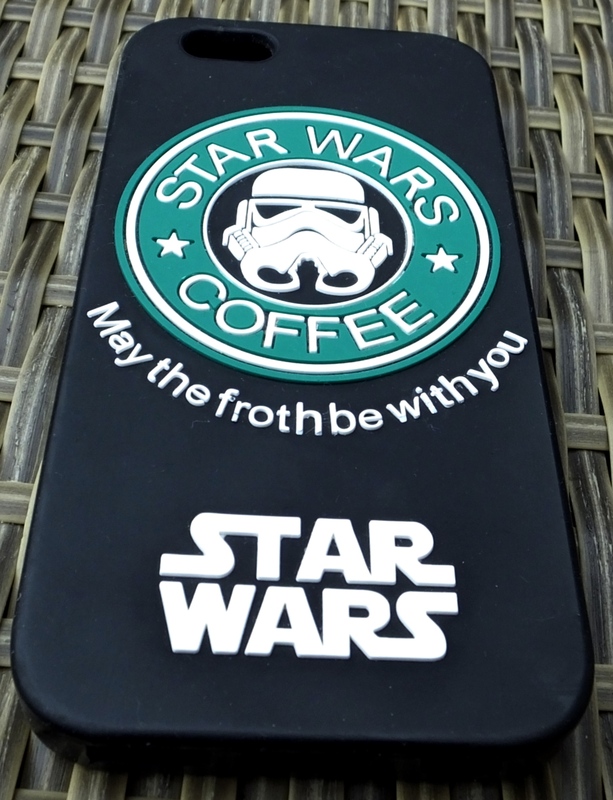 As you can see by the pictures the cover has been a constant companion to the authors iPhone, why because its tactile, it bounces when their old geek hands struggle with holding the iPhones sleek design and it looks cool. The writing and logo is raised and the silicone protects the buttons and camera. Its so easy to slip on and off and you get funny looks getting it out in Starbucks ( displaying your membership of the Geekdom is a must in public places). It's from eBay and it's shipped from Hong Kong so took a few weeks to get to me. But it was well worth it having tried a few covers over the years, this little bit of Geekandise really floats the the proverbial helicarrier. 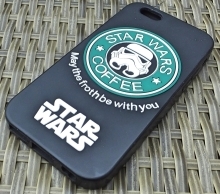 So if looking for a present or just want to own a cool cover this little communications cover should grace any geeks iPhone. Link is below. Geek Out.